This is the second in a series of “Some Business Ideas with HoloLens”. Read others posts here. Architects, especially the ones who design commercial buildings, usually need to enter a biding process to have their designs selected. Apart from the design competence, brand name, etc., how you present your design work to your client plays an important role in deciding your success. Today’s architect companies spend a lot of time to visualize their designs. Artists impression drawing, in different day lights, night lights, with/without surroundings. They routinely present 3D models as well. But what if they bring a few HoloLens to the presentation, have everyone in the room put them on, your clients immediately see your designs and the surrounding building showing in 3D. People can easily see them from different angles, discuss what its like if you change the shapes, colors a little bit. This is far more immersive than your regular 3D models. In addition to that, a lot more information can be presented in the form of call-out windows, when people put fingers on. Audio and music can be good additions too. For a regular architect firm, things like that would usually be out sourced to software developers. The 3D models and rendering effects should be a already there though. Software like that is not very difficult. If there is a generic app for that, the cost should even lower. This probably won’t change your business entirely, but it does add wow factor to your design. Especially if anyone else is doing it, you would have to. holo-architect is the best way to display architecture models!, the question is how and if MS (hololens) will create Ar close to reality! How Big Is HoloLens’ Field of View? HoloLens SDK Is Expected to Release Soon! What Do Microsoft Need to Succeed in Consumer Market? HoloLens Academic Grants Winners Accounced! Asus to Make HoloLens? You Must Be Kidding! Is There a Tethered HoloLens? What is .NET Native? What Does It Mean to Developers? Unity, HoloLens, UWP, Apps and Games, How Are They Related? HoloLens Is Pushed Farther Back? Why Submit App Early Is Critical for Developers? Visual Studio 2015 Is Released! Should You Install Now? Surface Pro 4 to Release in October? 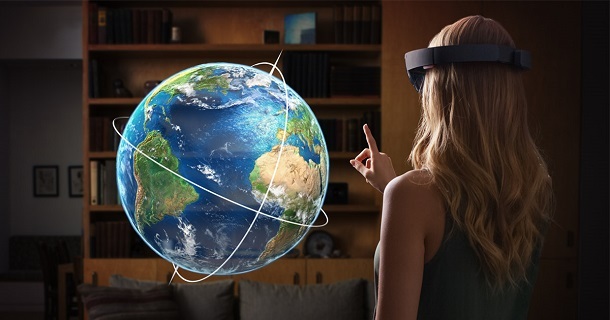 Will There Be Any Contents about HoloLens in WPC? Windows 10 to RTM This Week! What Is the FOV of the Movie Theaters? Jin-Seo Kim on PC + HoloLens: Would It Work? Skip Harrison on How Big Is HoloLens’ Field of View?